The Rebel Alliance is the greatest hope and largest single symbol of dissent in the galaxy. Its success emboldens others to join the fight. But to succeed, the Rebel Alliance requires people of all types and capabilities. It needs military officers and personnel from admirals to soldiers to staff its ships and armies. It needs spies and saboteurs to infiltrate the Imperial bureaucracy and military facilities. It needs mechanics and technicians, scouts and doctors, engineers and procurement specialists. In short, just about everyone has a skill the Rebellion could use somewhere in the galaxy. The Rebels’ drive to destroy the Empire reflects their spirit and determination to live free. They fight for freedom from oppression for both themselves and for others. They reject the Emperor and his fear-mongering and oppressive ways. They brave the consequences in hope of building a better life for themselves, their families, and the galaxy at large. 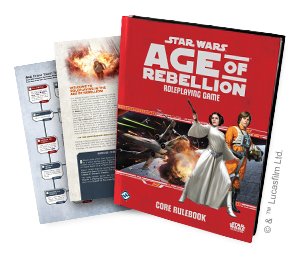 The Age of Rebellion Core Rulebook is a fully self-contained reference that allows players and GMs to enjoy whole campaigns in the Star Wars galaxy, from the simplest combinations of adventures to vast, sophisticated explorations of life as a member of the Rebel Alliance. You’ll build characters, encounter memorable adversaries, and confront your destinies. Players looking for more action and adventure will be able to explore even more of the galaxy in Age of Rebellion supplements. These additional books add more adventures for you to use in your campaign, further explore the game's setting, and offer players more options for building and advancing their characters. Make your mark on the galaxy as a member of the Rebel Alliance. Everyone has the potential to do something great, and in Age of Rebellion, your characters will have the chances to pursue their destinies as they’re thrust into adventure with some of the galaxy’s most courageous and daring heroes. Character creation in Age of Rebellion works from the assumption that each character enters his or her first adventure with a history. 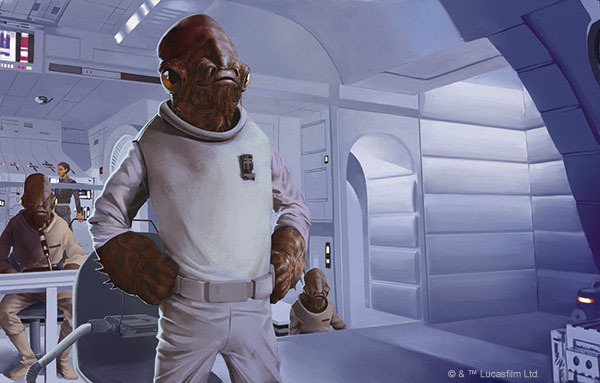 Play as an agressive Bothan Commando, a wily Duros Saboteur, a tough and focused Mon Calamari Commander or a character that no one but you could possibly imagine. No matter who your character is or where he came from, all members of the Rebel Alliance share the desire to cast off the oppressive rule of the Galactic Empire. It is this motivation that caused your character to join up with the Rebel Alliance. Is your character seeking revenge against the tyrannical Empire for the destruction of his planet? Was your character an unlikely recruit, joining after recognizing the toxic influence of the Empire on his life? No matter the reason, each member of the Rebel Alliance has different goals for their service to the cause. These goals are represented mechanically in the game as Duty. As a part of the Rebellion, each Player Character has a commitment to a specific kind of Duty. This is his main focus, not just on a single mission, but in everything he does for the Alliance. It might be one of the driving factors for why he joined, or it could be the area of focus for which he has particular talent. Whatever the reason for adopting this expression of Duty, it has become how he is judged in terms of his successful contributions to the effort to overthrow the Empire. 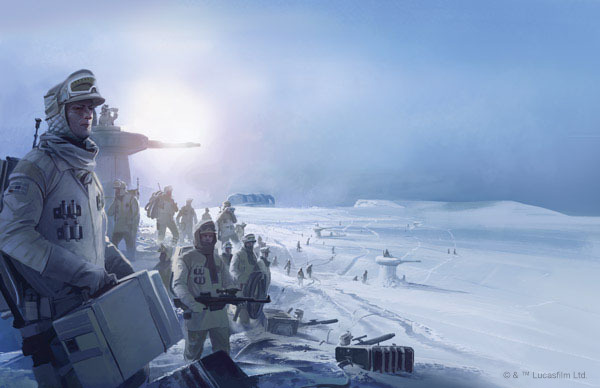 Duty in Age of Rebellion ties the game’s mechanics to a narrative core and help players to develop characters with rich backgrounds and deep investment in the campaign’s events. The core mechanic of the Age of Rebellion is the skill check. At times, the GM will have the characters roll pools of dice to determine whether their actions succeed or fail. Whenever you roll a skill check, you compare a pool of “positive dice” and their results against the results of a pool of “negative dice.” Positive dice help your character accomplish a task or achieve beneficial side effects. These dice may reflect his innate talents or abilities, special training, superior resources, or other advantages that he can apply to the specific task. Negative dice represent the forces that would hinder or disrupt him, such as the inherent difficulty of the task, obstacles, additional risks, or another character's efforts to thwart the task. If your character’s successes ( ) outnumber his failures ( ), the action succeeds. However, the situations of Age of Rebellion are rarely simple, and the game’s custom dice do more than determine whether an action succeeds or fails. Even as the dice indicate whether an action succeeds or fails, they determine if the character gains any Advantage ( ) or suffers any Threat ( ) as the result of the attempt. The sheer number of possibilities provides opportunities to narrate truly memorable action sequences and scenes. Nearly anything can happen in the heat of the moment; even a single shot fired at an Imperial Star Destroyer might hit some critical component that results in its destruction. Players and GMs alike are encouraged to take these opportunities to think about how the symbols can help move the story along and add details and special effects that create action-packed sessions. Age of Rebellion is the second in a series of three standalone, but fully cross-compatible roleplaying systems. 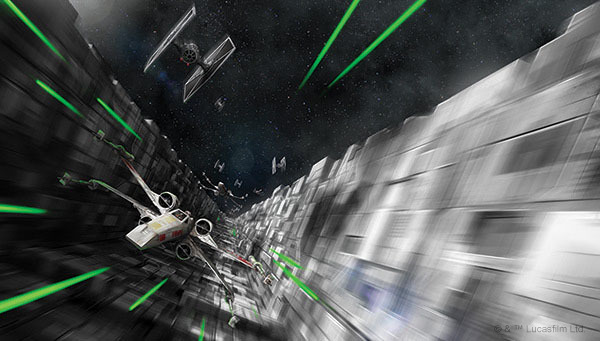 Each introduces a unique dimension of the Star Wars roleplay experience, but the core mechanics are fully interchangeable. Players and GMs will have the option to use these materials separately or combine them as they see fit in order to carve out a unique, custom roleplaying experience. The Core Rulebook for Age of Rebellion allows players to take the fight to the Galactic Empire as members of the Rebel Alliance. Star Wars®: Edge of the Empire™ allows players to create characters with checkered pasts and deep obligations, and it invites them to experience the thrills and adventures of life on the outskirts and the fringes of the Star Wars galaxy. The third book in the series, Star Wars®: Force and Destiny™ permits players to assume the burden of the last surviving Force users hunted by the Empire who must fight for survival even as they seek to uphold the ideals of their forebears—the fabled Jedi. Meanwhile, players of the Star Wars®: Age of Rebellion™ Beginner Game will find that the Age of Rebellion Core Rulebook unlocks whole new worlds and fantastic opportunities for adventure. Whereas the Beginner Game is designed to introduce players to the most basic concepts of roleplaying in a Star Wars setting, the Age of Rebellion Core Rulebook provides all the materials players and GMs need in order to continue their adventures or begin new ones. The Core Rulebook’s rules for character creation and advancement allow players to invent unique characters to suit their tastes, and its rules for character Duties and motivations add layers of excitement and engender storytelling. Prepare for the fight of your life as a member of the Rebel Alliance! Join forces with the iconic heroes of the Star Wars universe, and work against the evil Empire. The fate of the galaxy rests your hands. It’s time to enter the Age of Rebellion.